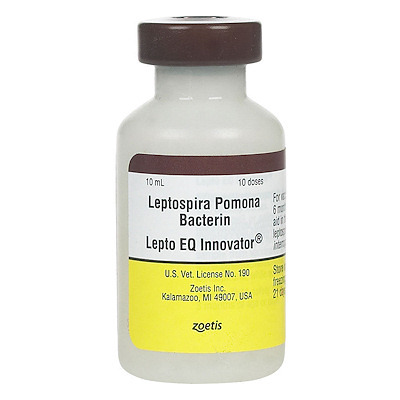 Zoetis has introduced its new Lepto EQ Innovator vaccine against equine leptospirosis, which can cause abortion in pregnant mares, kidney and liver failure, and equine recurrent uveitis (ERU, the most common cause of blindness in horses). This is the first USDA-approved, equine-specific vaccine labeled to help prevent leptospirosis caused by Leptospira pomona. >Safe for horses 6 months of age or older, safe to use on pregnant mares in the second trimester, safety testing has not been done by Zoetis for the first or the third trimester of pregnancy. >Inject a single 1-mL dose intramuscularly using aseptic technique. >Administer a second booster 1-mL dose three to four weeks after the first dose. >Annual revaccination with a single 1-mL dose is recommended.